Hospice care can sound intimidating and, perhaps, even a little frightening. For families who have hired caregivers or brought ill relatives to a hospice care center, hospice homes can be a godsend. In its simplest form, hospice care refers to the care given to a patient at or near the end of their life. Those who receive it may have been referred by their physician or, in some cases, brought there by family members who wish to give their loved one the best possible care during this period. Getting hospice care can be the best possible support for both the patient and their family. Caregivers at a hospice home are trained professionals who can quickly respond to a patient’s medical emergencies as well as provide companionship in the absence of family members. For the patient’s family, they can provide emotional, even spiritual support, to better equip them to navigate this difficult time. Whether someone referred you to the hospice home or you voluntarily sought their service, the first thing staff will do is assess your needs. You have the option of hiring hospice professionals to care for the patient at home, in the hospital, or at their center. Some of the longest-established hospice homes here in Indiana are there and can provide you with plenty of advice and support. A staff specialist will assist in creating the caregiving plan for your loved one. This will provide you and the patient with a team of professionals who can help you manage the patient’s illness. It also means that you can get much-needed rest and peace of mind, knowing there are professionals on-call who have your back. READ LASIK Eye Surgery: Will it Work for You? 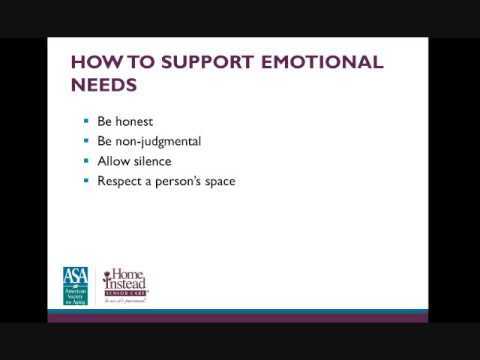 Hospice care does not mean dealing with your situation will be any easier emotionally. The good news is that hospice care does not end when the patient’s life does. The same professionals surrounding you during your loved one’s illness will help you through the period after death, ensuring that you get support throughout the entire journey. Preventing Cancer: Can You Reduce Your Risk?